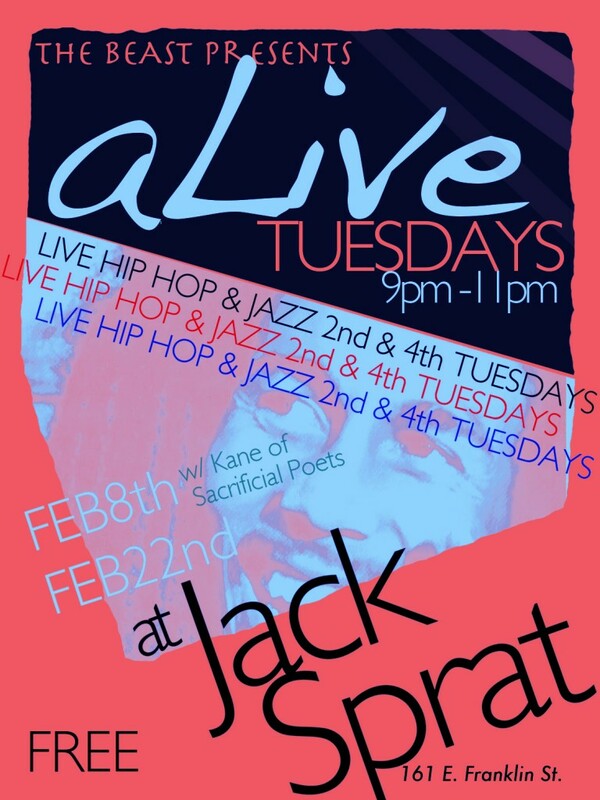 Check out aLive Tuesdays February 8th and 22nd, this month at Jack Sprat Cafe in Chapel Hill. Kane from Sacrificial Poets and another special guest will be joining us. If you have a suggestion for COVER OF THE WEEK (a song you want us to perform at an aLive event) holler at our facebook page. Peace.